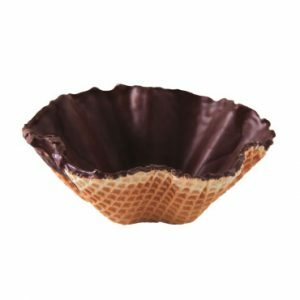 Their fine chocolate coating makes these sugar bowls a tasty foundation for ice cream creations and other fillings, such as sauces. They lend style to any occasion, not just in restaurants. 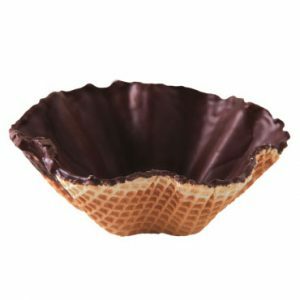 The sugar cones, with their chocolate crown at the edge, just whisper “eat me”. They are suitable for both industrial processing and restaurant use.